This brief, encouraging interview guide offers a simple, smart approach to interview preparation. Get That Job! 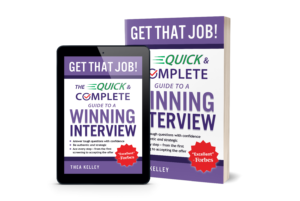 is packed with all you need to get ready for the best interview of your life. Know and communicate the unique strengths that make you the right person for the job. Realize why employers ask many of the most common interview questions – and how to answer with confidence. Succeed with video interviews, behavioral interviews and panels. 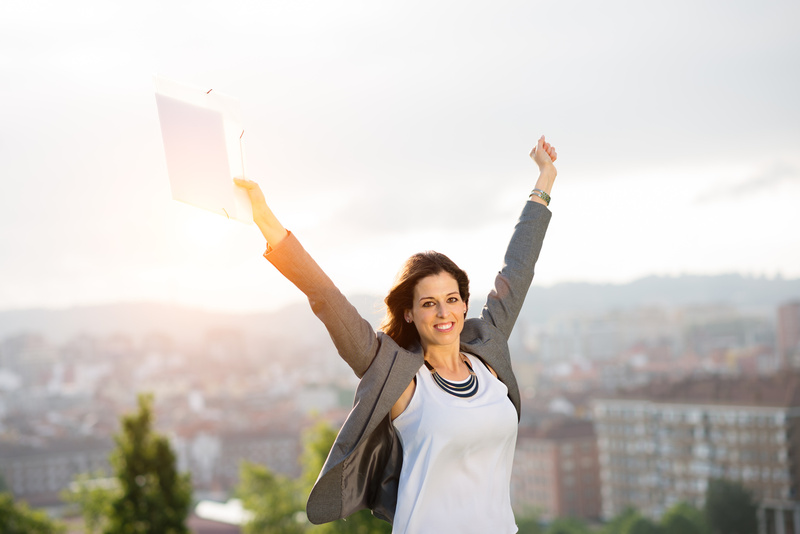 Build an arsenal of success stories – more than you think you have! Ace every step – from the first screening to accepting the offer. Thea Kelley’s Get That Job! is an indispensable guide to smart interview preparation that will help you get a great job, sooner. Available since January 2017 on Amazon, in eBook and softcover. Thea Kelley has more than 20 years’ experience in coaching, career services, writing and editing. She shares her expertise in books, blogs, podcasts and radio interviews, as well as one-on-one coaching for everyone from recent graduates to senior executives.